Quanzhou Fanghua Imp & Exp Co., Ltd.
Hebei Shengcheng Auto Parts Co., Ltd.
We will strive to provide you with high quality products and satisfied services. 2)CONSISTENT WIPE Stainless steel flexors adjust to the windshields varies contours. 5)POLYMER JOINT Durable polymer joint for a quiet wiping operation. 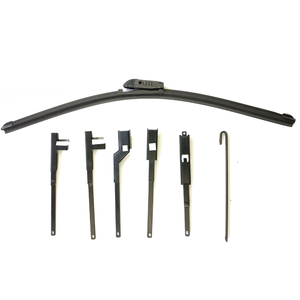 Xiamen Phucar Auto Accessories Co., Ltd.
Hebei Lruijin Auto Parts Co., Ltd.
Yujin Xiamen Plastic Manufacturing Co., Ltd.
Dongguan Gpes Auto Parts Co., Ltd.
2015 windscreen chrome wiper blades 1.Universal Type Wiper Balde For J-Hook and U-Hook,Fit On Most Of Car Models. 5.Easy Installation(Fit Only On Wiper Arm With J-Hook and U-Hook At The End). 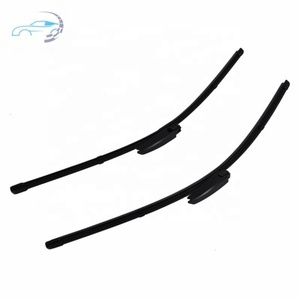 4.Pull the wiper blade up, make the U-type hook and the wiper blade connect tightly 5. close the hook of the wiper blade. Guangzhou Bosson Car Accessories Co., Ltd. 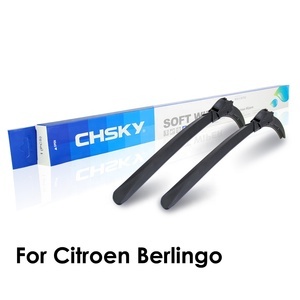 Car Multi function Soft Wiper Blade Adapter, Available for 98% European cars. FLEX WIPER ENTERPRISES CO., LTD.
Gongbo (Guangzhou) Commercial And Trading Co., Ltd. 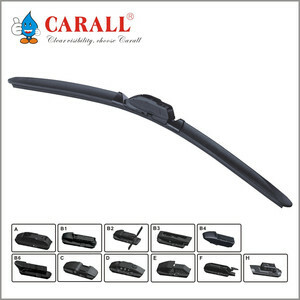 Product Information Product Name: Multifunctional Flat Wiper Blade Model No. For the past 18 years, with exclusive designs and materials, an on-going inventive team of engineers and rigorous quality control standards, we have won the trust and high praise from our worldwide clients, particularly from Germany, Italy, Turkey, and Russia. Professional Manufacturer Designed, Researched, and Produced in-house Original quality High-quality raw material, High-Tech formula, Advanced Equipment, Trained works Good price Reasonable price, high cost-effective Excellent Services All the inquiry will be replied in 8 hours. Car Model Fit for more than 95% Japanese and Korea cars. 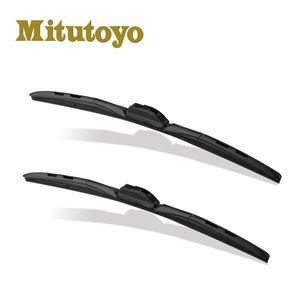 Detail Images Product Application Universal wiper blade suitable for 95% Japan & Korea models. 2.Specializes in manufacturing wiper blade over 12 years. With advanced technology, and the understanding of the demands all over the world, the experienced team is now providing all drivers a safe and clear vision worldwide. That is why our products go through extreme testing procedures in the lab, on the road and in our production facilities prior to being offered to customers. Last but not least, We will continue responding to our customers' demands in a timely fashion, united in the aim of earning their trust. 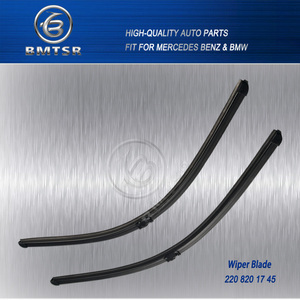 Alibaba.com offers 180 top lock wiper blade products. About 53% of these are windshield wipers. 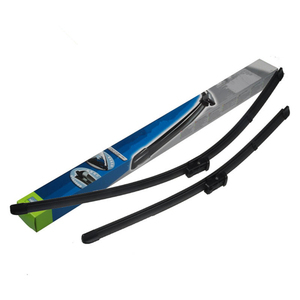 A wide variety of top lock wiper blade options are available to you, such as free samples. 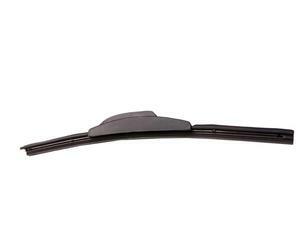 There are 101 top lock wiper blade suppliers, mainly located in Asia. The top supplying countries are China (Mainland), Taiwan, and Pakistan, which supply 98%, 1%, and 1% of top lock wiper blade respectively. 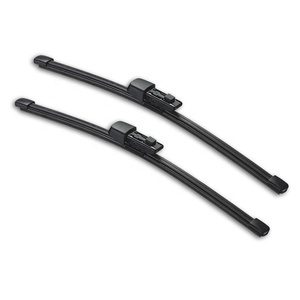 Top lock wiper blade products are most popular in Domestic Market, Western Europe, and North America. You can ensure product safety by selecting from certified suppliers, including 56 with ISO9001, 21 with Other, and 12 with ISO/TS16949 certification.